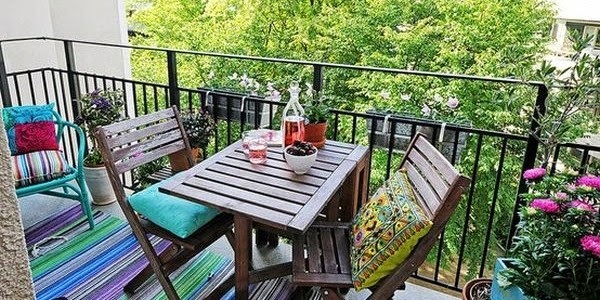 Before building a balcony, one needs to consult an expert in this field to avoid building a structure that will not last long or that has room for mistakes. Besides getting information, one can also hire a contractor and have the job done. It is important to plan your balcony well by ensuring that the space left a side for this structure is well utilized and at the same time make sure that it is not congested. Placing various elements such as plants that are in harmony with your interior design is important. This is for uniformity purpose and the continuity of design. The purpose of the balcony defines the furniture to be used in the balcony. Always make sure that the furniture that is placed in the balcony ease movement around the area and also complement you interior home designs concept. If you plan to have plants in your balcony, ensure that it is well supplied with water to avoid moving up and down watering the plants or a situation where plants dry off during the dry season. Adding some light in the balcony is essential since you may want to relax at the place during the night. Though light is important, remember not to make it too bright. By choosing the right lights for your balcony will add up its beauty and make you feel relaxed while relaxing in it. Make sure before constructing your balcony that your house has enough space for the construction of a balcony. Also see to it that it is proportional to your house and finally have it placed in an eye catching place. The balcony should be placed in a place that offers you the privilege of interacting with nature and the surroundings. Make sure the structure is constructed in a place where it offers a good view to the eye caching outdoor scenario. This offers you the opportunity to relax and enjoy looking to the beautiful environment around you. Renovation/refublishingIf you have a balcony that is underutilized or its set aside to keep things like bikes and so on, you can have it renovated rather that constructing a new one. Ensure during renovation process that you use light material to avoid the balcony falling off or breaking down. Decoration of the balcony depends on the usage of the premises. If the balcony is to be used during the night then using curtains would be wise to protect you from cold. You should link your balcony to the interior of the house. This gives the continuity and consistency of the house design. This adds up the fun and makes your balcony to look neat and good at all times.